but not enough that i didn't take a plate home for Ron (LateR ON). Today i had the pleasure of being invited to my friend Ella's for her birthday lunch. Shouldn't it have been the other way round? 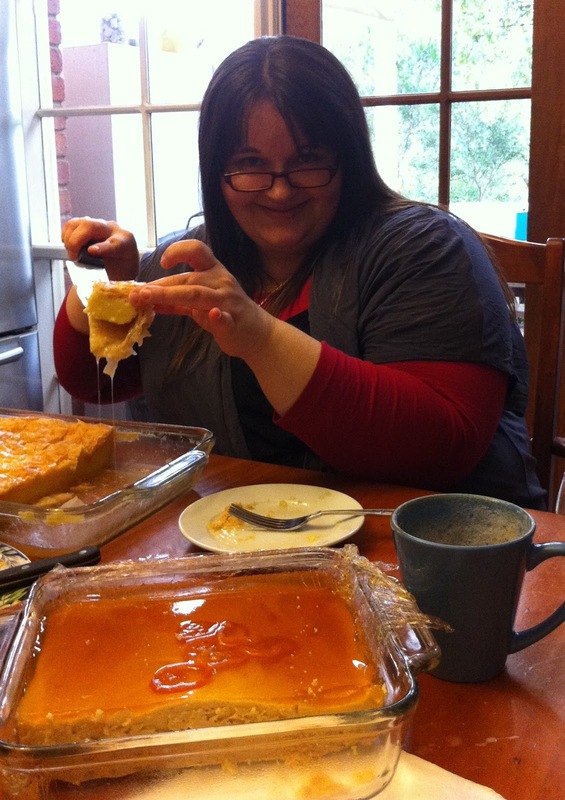 Anyway joy Oh joy, her mum was also invited and so i got to eat generously from the combined cooking efforts of both. 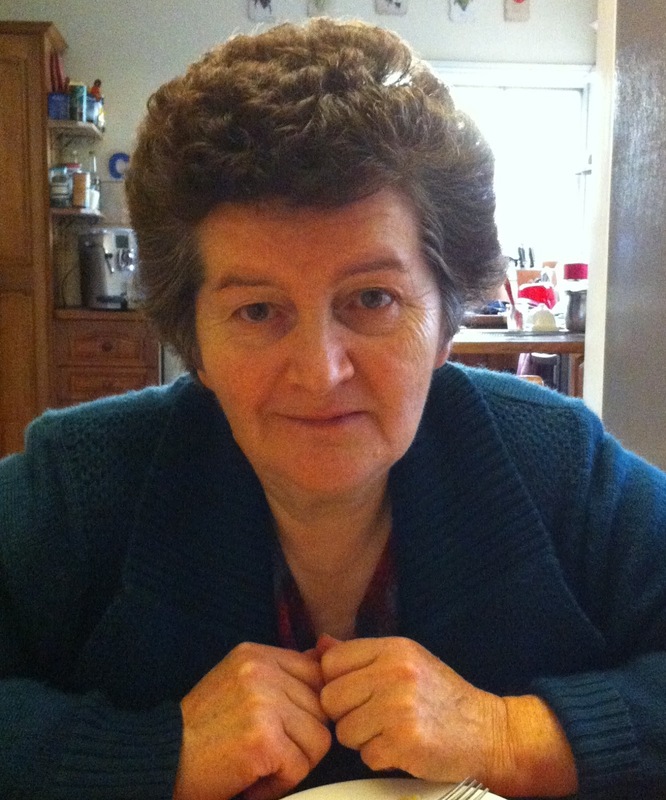 Don't we all wish we had a polish matka (mum) that arrived with bags of good wholesome polish food. Ive told her before that she can adopt me any time she wants and turn up every Sunday lunch time. 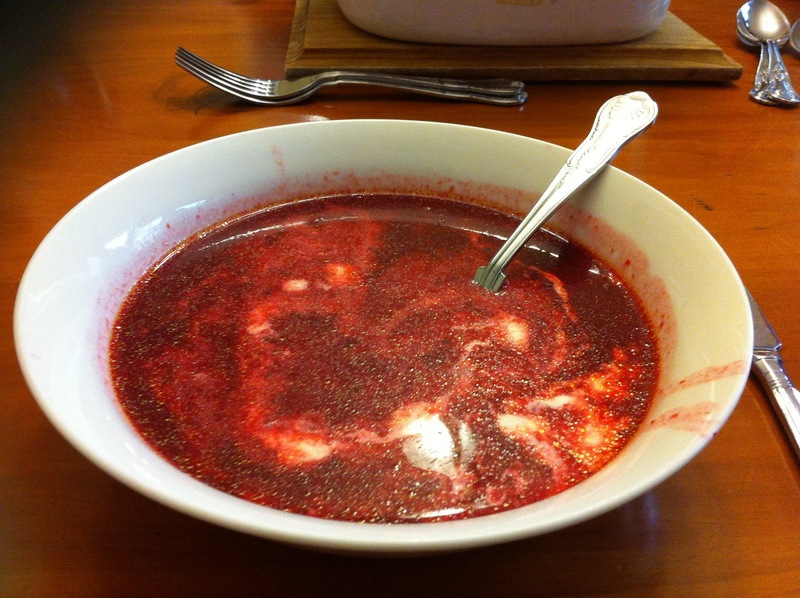 OK, starter was "barszcz" or beetroot soup (borchtz in polish). This is usually a clear red soup (beetroot) or clear white soup (potatoes) but today ours was not clear and had pieces of beetroot in it to give it texture. I enjoyed it with a dash of cream. Confession - I don't like beetroot. Its not the flavor its the memories of self-sustained living in childhood and during the season being faced with too much beetroot and mushrooms for that matter. I'm going to have to get over it because i seriously enjoyed this soup. The sour component was lemon (rather than vinegar) and it just takes the sweetness off the beetroot. These are naked Golabki - without the sauce. 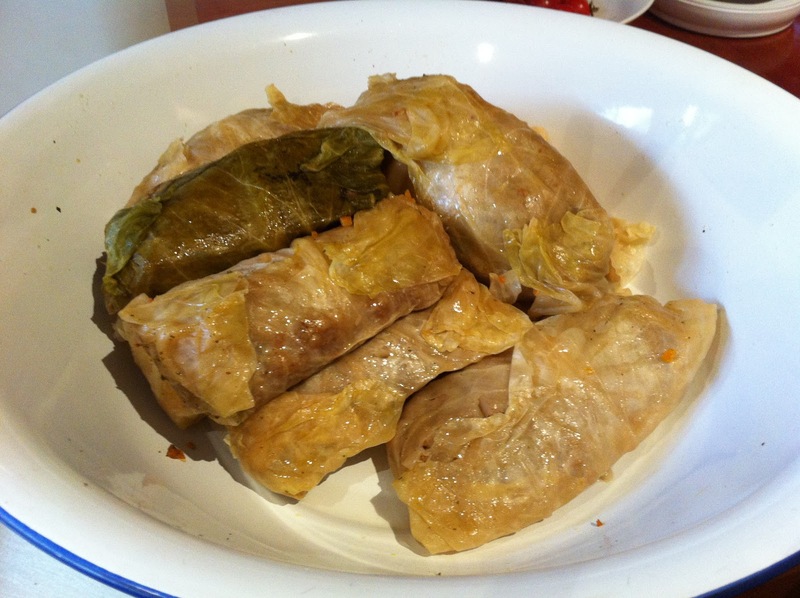 Golabki is stuffed cabbage rolls. 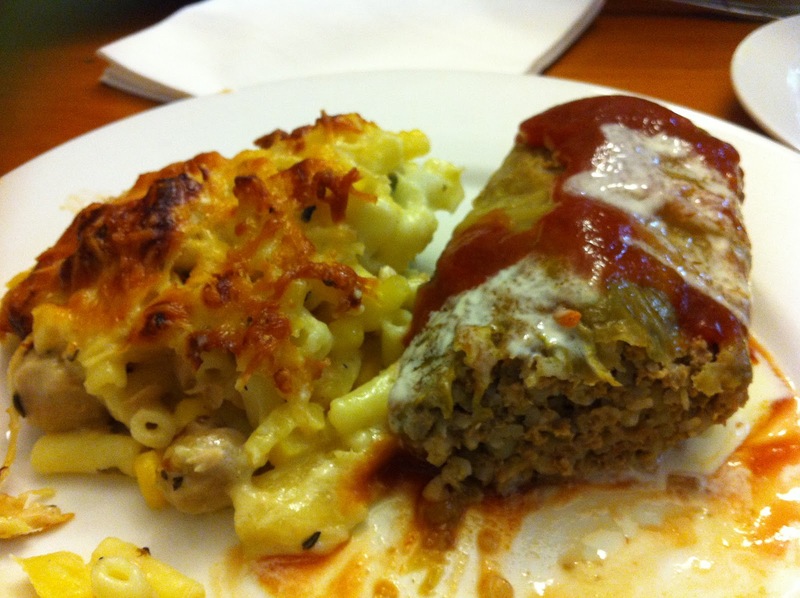 Ours were made from beef mince, onion and garlic, and buckwheat, and of course cabbage leaves. 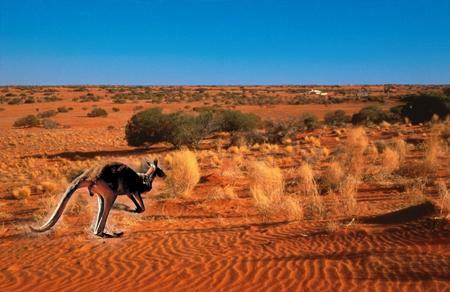 OK, now hang onto your stomachs because its desert time. One must remember, that we were not feeding 20 people, only 7. 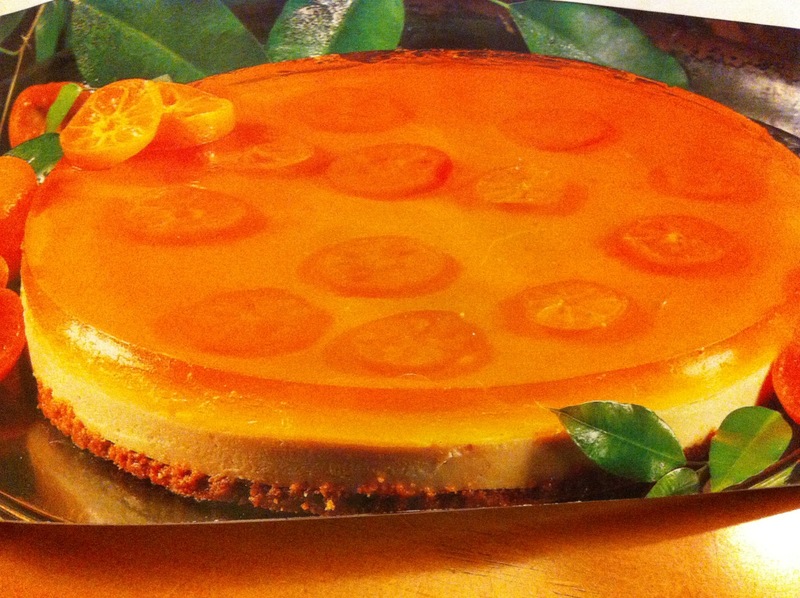 Then because she was given a bag full on cumquats she made Cumquat Liquer Cheesecake. 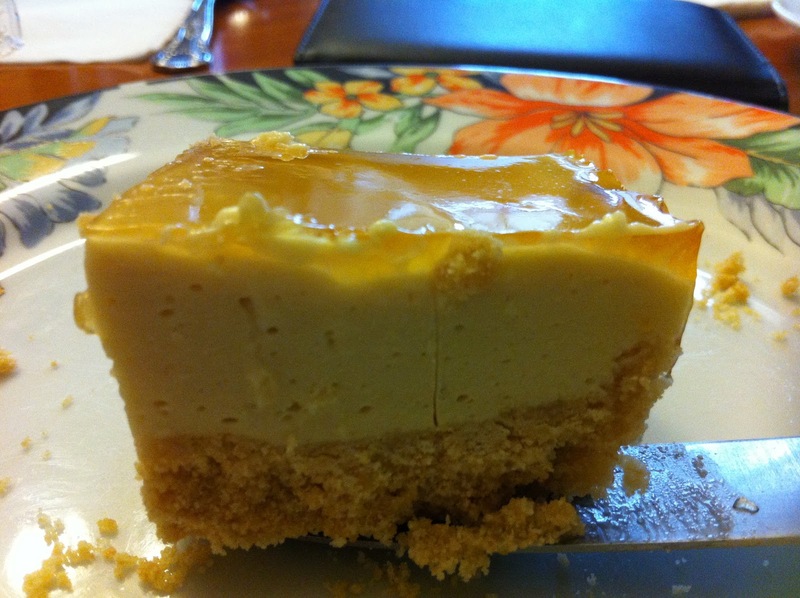 This was seriously good - the marmalade tang on top of the cheesecake ﻿with Grand Marnier and walnut and biscuit base. 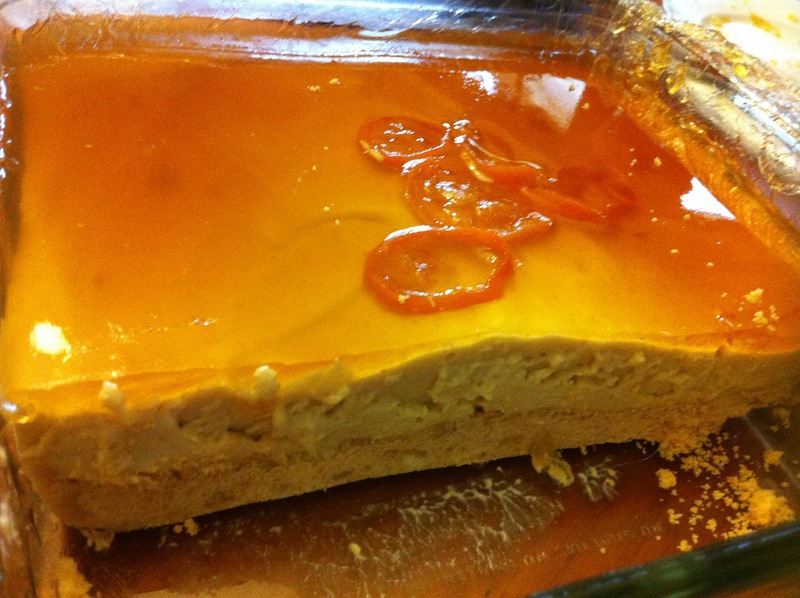 I do have the recipe for this but its long and i cant find a link to this recipe from an old Women's Weekly cookbook. Leave a comment and i will post. 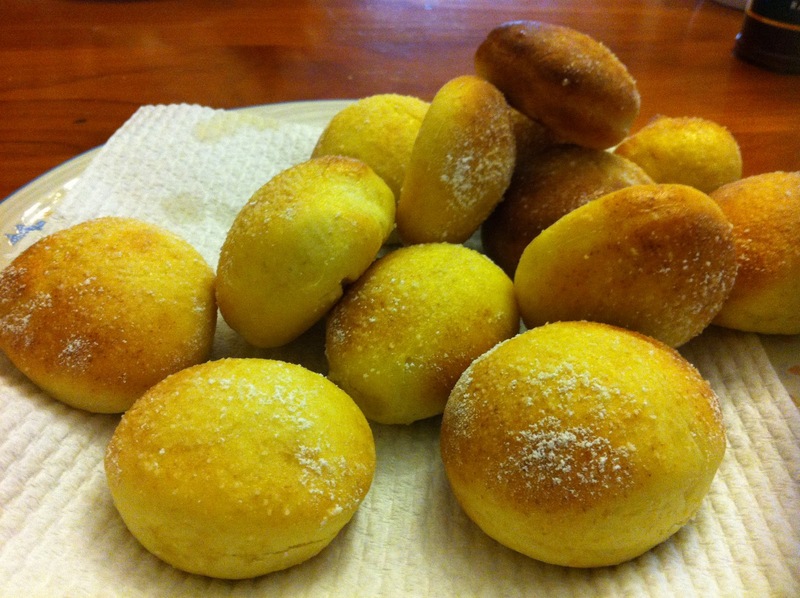 Did i mention the Paczki - (POHNCH-kee) baked rounds of yeast dough similar to a light doughnut brushed with melted butter and icing sugar straight out of the oven. Sometimes they are filled or sprinkled with sugar & cinnamon but ours were not. I couldn't fit anymore in so i forgo the delight but the others were putting jam on them with much ummmming and oooinnng so i guess they tasted great too. 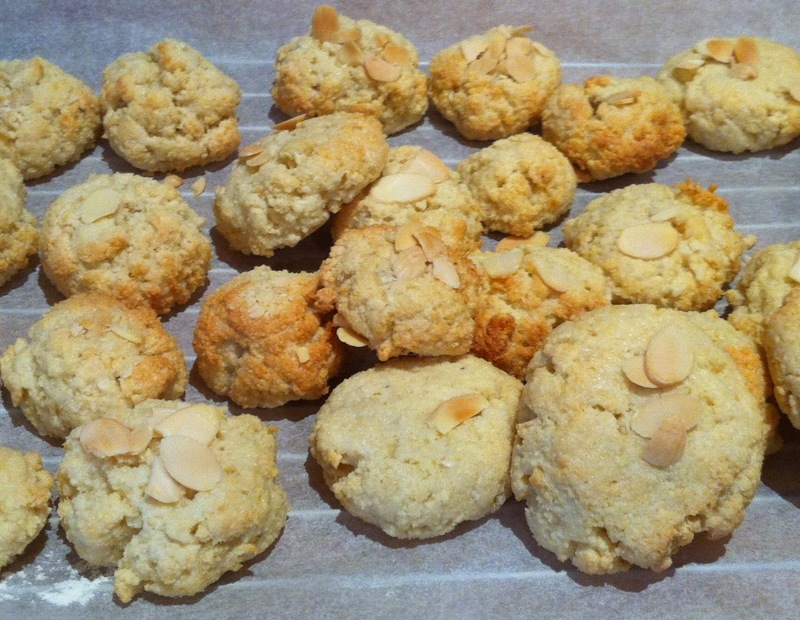 Oh, and lets not forget the freshly baked almond macaroons that were perfect. So who is Ella, the wicked queen of deserts and over feeder of friends. She forced me, honest! See that evil grin as she serves another piece. OK all you food snobs, no judgement allowed. Sometimes you need something super quick, cheap, a pantry staple that's filling and easy to prepare. Especially for teenagers that seem to eat all day and Mum is not always around to answer the universal call "I'm hungry Mum, what's to eat?" I prefer IndoMie Mi gorgeng but Tom is a stickler for Aldi's Simplee Noodles. 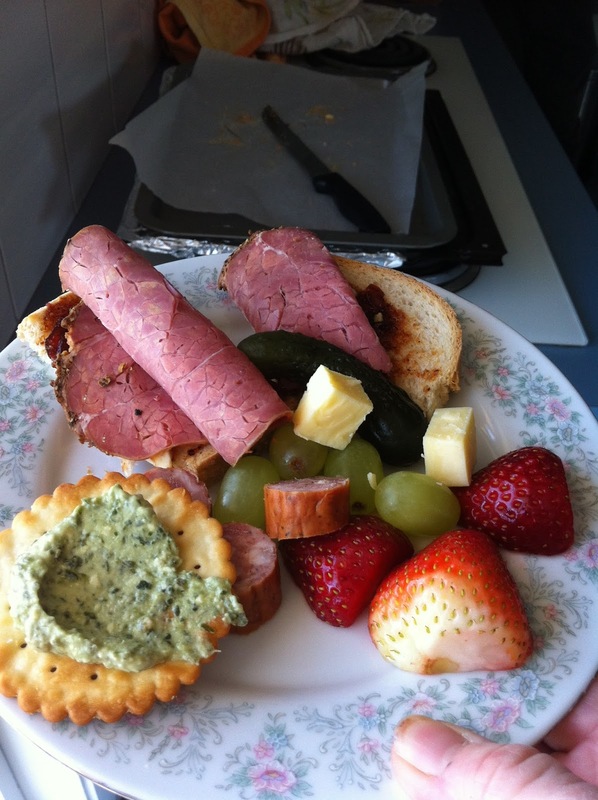 This is Tom's recipe and he wanted me to add it to my blog. In fact its his idea to do this as he thinks he's created something worth sharing. I keep telling him its my blog not his but what can you do. Cook noodles (without sachet) in microwave container for 2 minutes (funny about that). Drain and add grated cheese and stir whilst hot. Put back in microwave for 30 seconds to melt cheese, add pepper and serve. Told you it was easy. Good thing is that it is real cheese (light) and not that yucky powder cheese clag. I'm so glad that Tom doesn't like the flavor sachets as this is where a lot of the fat, artificial flavor enhancers etc are. This one came from by boss who said it was a staple during his uni days. I would never have put these two together but its cheap and filling. I guess you could add the noodles to any omelette recipe to bulk it out. 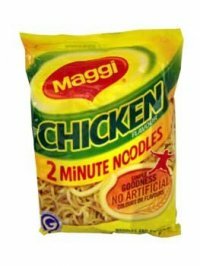 Cook the 2 minute noodles as you would normally but without flavour sachet. Drain the noodles and add the flavour sachet and noodles that have been drained into a bowl with the eggs and salt and pepper, mix well. Pour the mix into the heated frying pan and let it cook for a couple of minutes making sure the mixture is spread out within the frying pan. Flip your noodle omelette and cook on the other side. Both sides should be well browned. Serve hot and add cheese (if you want to) or anything else you think you would like- note if you want bacon or chicken or anything added, add to the mix before frying! Crush noodles then add to sugar water. Add oil, vinegar and mix thoroughly well with the noodles, set aside. Add the flavor sachets and mix well - Oriental flavors are recommended. Will keep for 2 days in fridge , mix before eating. I would definitely be adding something - i hate food that looks bland in colour. Does taste great though. Cook noodles following packet directions. Drain and place in a large bowl. Allow to cool for 5 minutes. Add cabbage, carrot, green onions and flour to noodles. Season with salt and pepper. Mix until well combined. Beat 2 eggs together. Stir into noodle mixture. Pour oil into a large, non-stick frying pan until 1cm deep. Heat over medium heat. 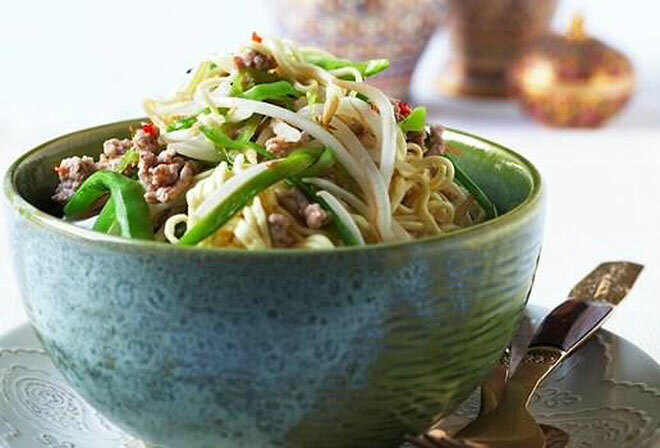 Using a heaped 1/3 cup of mixture per noodle cake, drop 2 noodle cakes into hot oil. Gently flatten with a spatula. Cook for 2 to 3 minutes on each side or until golden and cooked through. Transfer to a tray lined with paper towel. Repeat in 3 batches with remaining mixture, adding more oil if necessary. Place 2 noodle cakes on each serving plate. 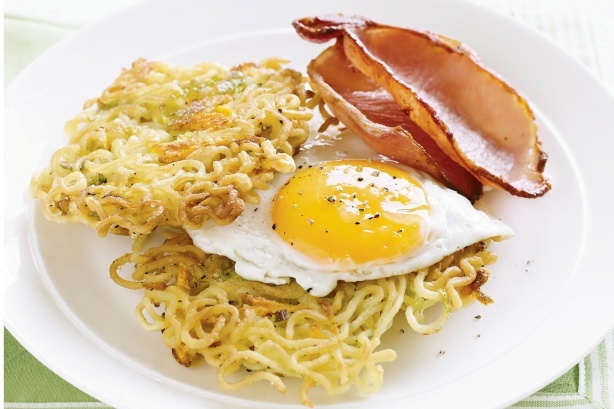 Serve with egg and bacon. 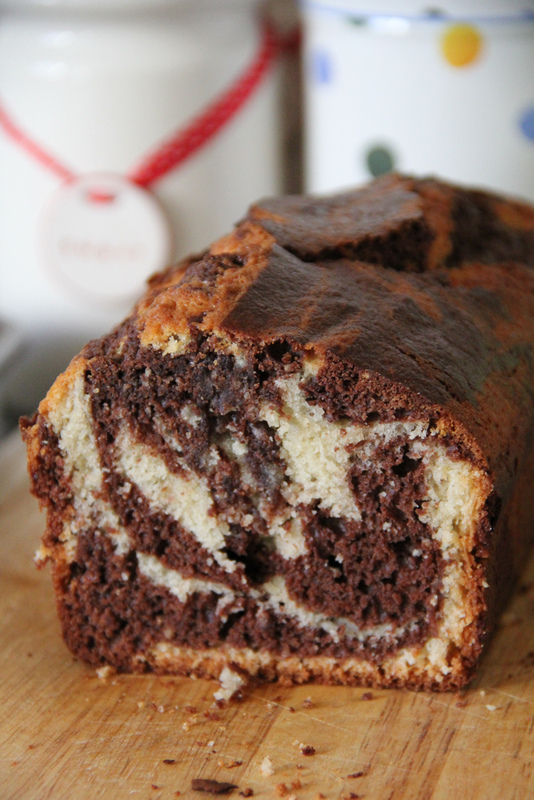 OK, so there are quite a few recipes out there which don't look too bad. 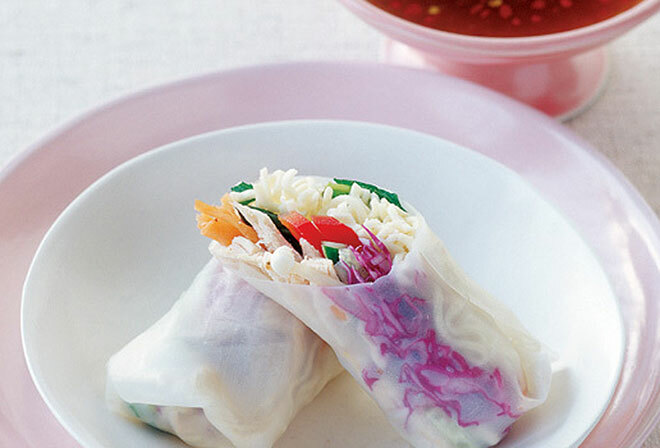 I'm definitely trying the rice paper rolls. leading to an overall total population increase of one person every 1 minute and 23 seconds. So where are we all? As you can see we are all pretty much hanging onto the coastal areas and there is an awful lot of space unpopulated. Climatic conditions, lifestyle choices and employment opportunities in the cities surrounding bays and harbours with ports for trade are all good reasons for this. 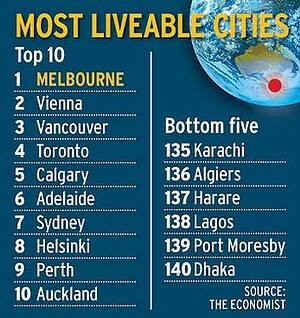 Melbourne - Worlds most liveable city for 2011 & 2012. I made a point of putting Melbourne instead of Sydney because i live here but because there is a city rivalry that exists between us that must be fought at all costs. See that Sydney (a lowly 7th). 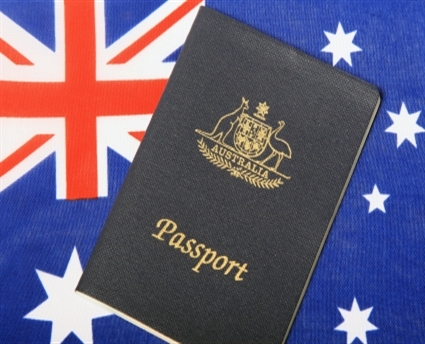 Pretty amazing isn't it to think that 4 State Capitals in Australia made it into the Top 10. All that yellow on the map is the "outback" and is desert and uninhabitable except for kangaroos, emu's, camels. There are many "stations" out there, some that take days to drive across where hardy frontier people live (Kudos). I come from an area in the light orange shading. You can also see, if you squint at the colour key on the map that we are not that densely populated. 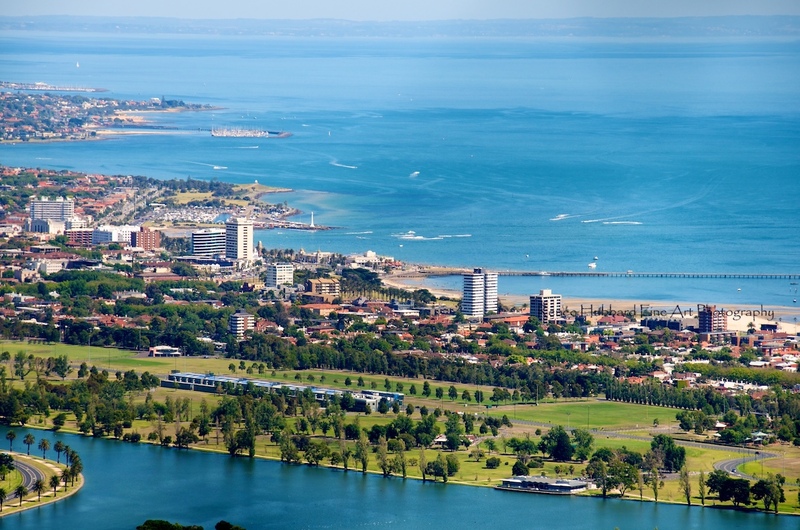 The whole of England can fit in our second smallest state (Victoria - bottom right before getting in the water to visit Tasmania) and they have a population of 56 million. 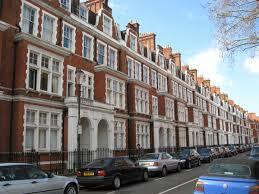 7.8 million in London alone! This totally blows my mind. I sit and watch Escape to the Country each week and look at all the moors, forests, farm land, lakes district, the quaint little villages and designated heritage areas and ask myself, where are all the people if there is so much space in the country. Are you living on top of one another? Apparently So - I hope you like your neighbours + your calves must get a workout with stairs. I live in a 4 bedroom single story house on a suburban block that's about 695 Sq mtrs. Its about average size for 15 years ago. The blocks in the new estates are heading down to 450-500 Sq mtrs and costing over 5 times as much and the houses take up almost the entire block. Thank goodness, i had room for a cricket pitch years ago and now a veggie patch out the back. 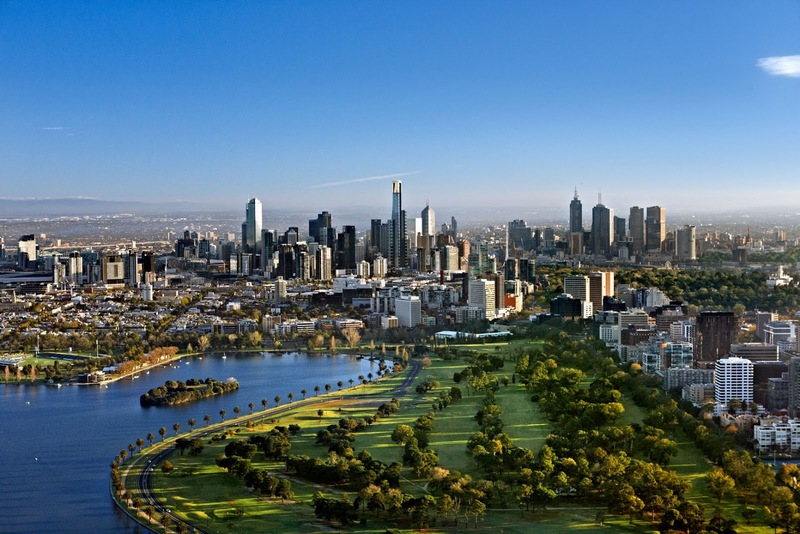 Im in one of the fringe suburbs on Melbourne and its about 28 km from the central business district. On a good day, i can be in there and parked within 40 minutes. I long for one of these. If you haven't worked this out yet, i have never travelled outside of Australia. Somehow Ive made it to middle age never having left these shores. There is so much to see out there and so much to experience. One day (Ive been saying that for a while) I will get to see something of the world. Perhaps on one of those granny tours. I have a passion for Tuscany and Canada and hope I'm young enough to be able to traverse all those steps and natural wonders. This is why i love blogging. I get to see into the daily lives of other people all over the world. Yours photo's, posts and comments give me a peak into how others live in different countries. 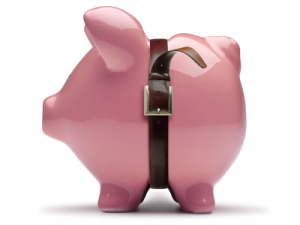 Frugal Queen the other day did a post on England and why she loves it. I enjoyed it immensely. Though i don't get comments from many (thanks to those who do) i know there are some of you out there in some pretty amazing places. My Stats tab tells me you are out there so let me know who you are and share your life and love of your country with this armchair traveller. 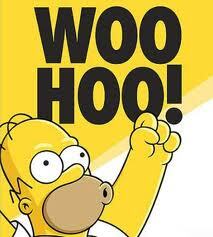 Thanks to Glenys from Narrandera for sending me this link. I saw her facebook message first thing in the morning when i was feeling particular down about being a Mum. Dont we all feel sometimes like we are failing our kids. 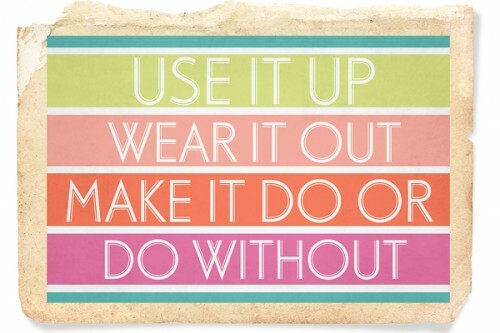 It certainly picked me up for the day and made me reflect not about what i dont do, but what i do do. 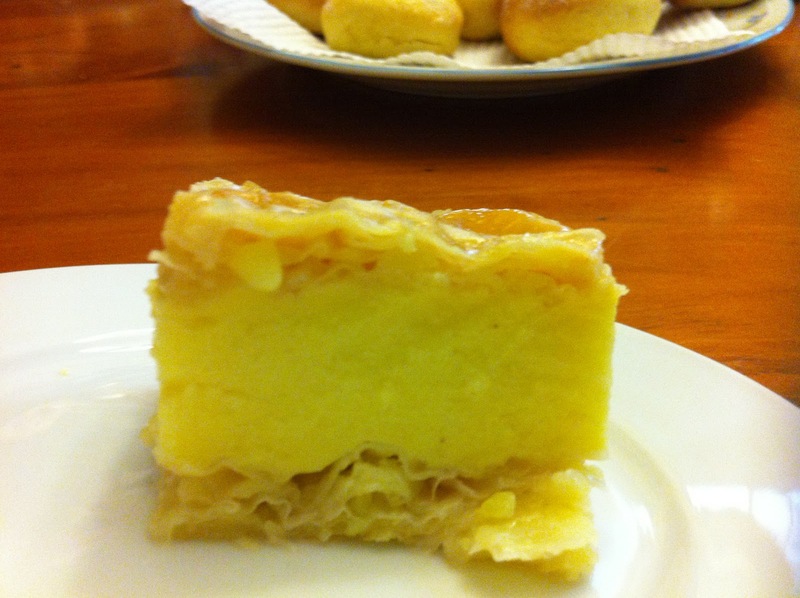 Ten days ago I was given a cup with batter in it and a piece of paper entitled "Herman - The German Friendship Cake. I had no idea what it was but on reading i became all warm and fuzzy to think i had a small amount of batter that had been passed down from person to person, each adding their own contribution and own amount of stirring until it came to rest with me. As you will see in the instructions, on the 9th day Herman undergoes a division into 4 equal parts. One to keep and bake on the 10th day and 3 parts to pass onto friends. A split personality, one could say. For each part will go onto to become something completely different. 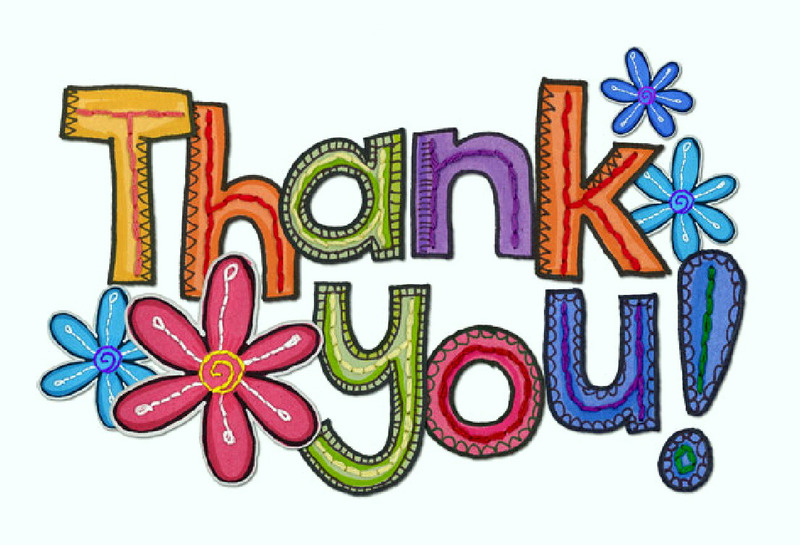 On Saturday i delivered one part to my friend Jessie in Ballan and on Sunday i gave two parts to other participants of my gardening group. I know that Jessie's portion will take on its own flavor - perhaps she'll use her own ground flour or Rapadura instead of white sugar and if so will someone who receives a portion of hers do something different again? Who Knows? I love this whole idea and it certainly hasn't been an effort to give "Hermie" as he is known in our home, a stir each day and some food on day 4 and 9. This is Herman, doing his thing between meals. 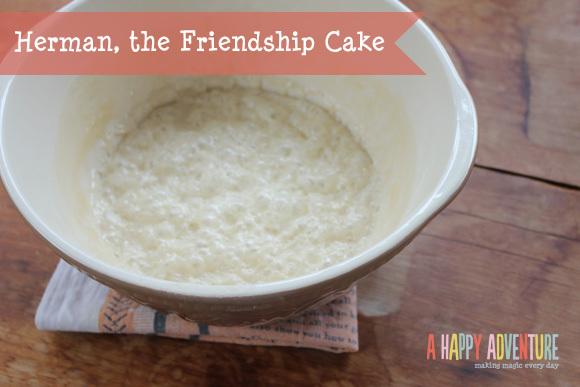 Obviously, Herman is a sourdough cake or otherwise known as Amish Friendship Bread. Although it has taken on many names, traditionally it was a sourdough bread cake that was passed around to the sick and needy. 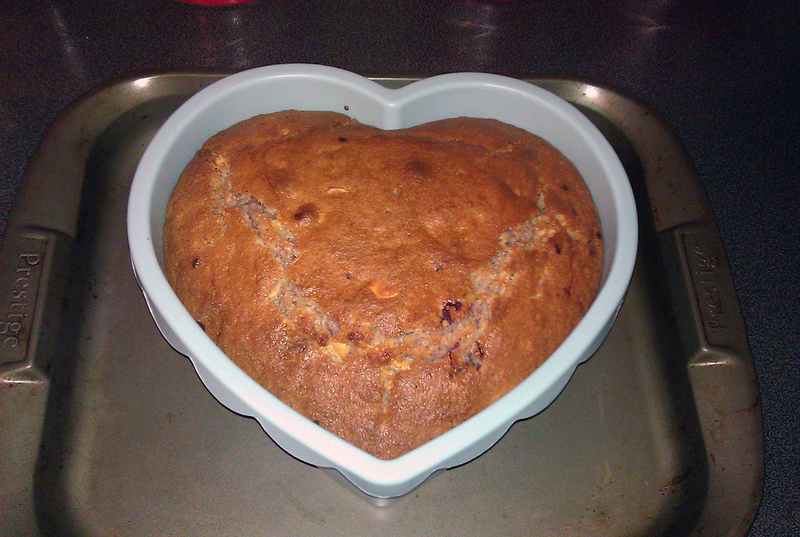 Friendship cakes were popular in the 1970's and thought to be regarded in the same vein as chain letters. Don't you find it amazing that NOW, when people are feeling at their most disconnected with their families and searching for a community and meaningful friendships that this craze would take off again. Is it not just another way to connect people? Its not a letter that threatens Doomsday or dire consequences if not passed on. Its just an invitation to do so. I could, if i wanted to, keep all 4 parts, bake them up and freeze them (apparently they do freeze well) but where would be the fun in that. Whilst researching Herman (cause you know i was going too) i came across the most ludicrous entries. Am I the only one who thinks this is just disgusting and finds the thought of eating something that has been growing in my kitchen for 10 days simply dreadful? I seem to be offending loads of people by turning down their offers of cultures - the last one actually told me that this mixture was called Herman as it was alive (she is clearly insane). 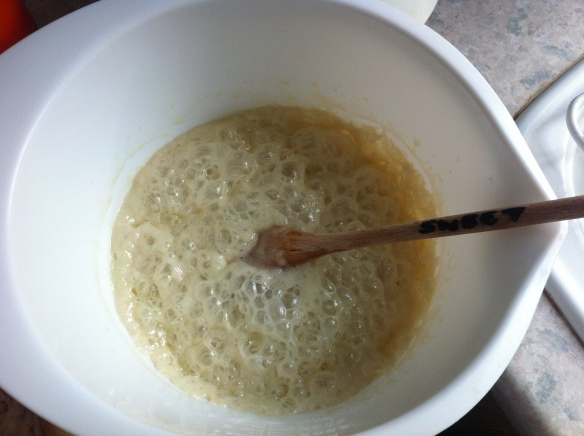 On the following link, there are the instructions on how to make a starter, instructions on how to care, feed, share and then bake Herman, as well as plenty of photos of finished cakes. Quite a variety. I've gone with the instructions that have been provided, so it's an apple cake that willed be served with whipped cream. You know how i was describing how healthy Jessie's cake was going to be, well this ain't it. You just know that it bad bad bad but will taste so so good. The verdict from the boys is that it taste like a cross between a hot cross bun out of the oven (because its still warm) but lighter like a donut with apple. Sounds good and taste great! Have you made a Herman cake? 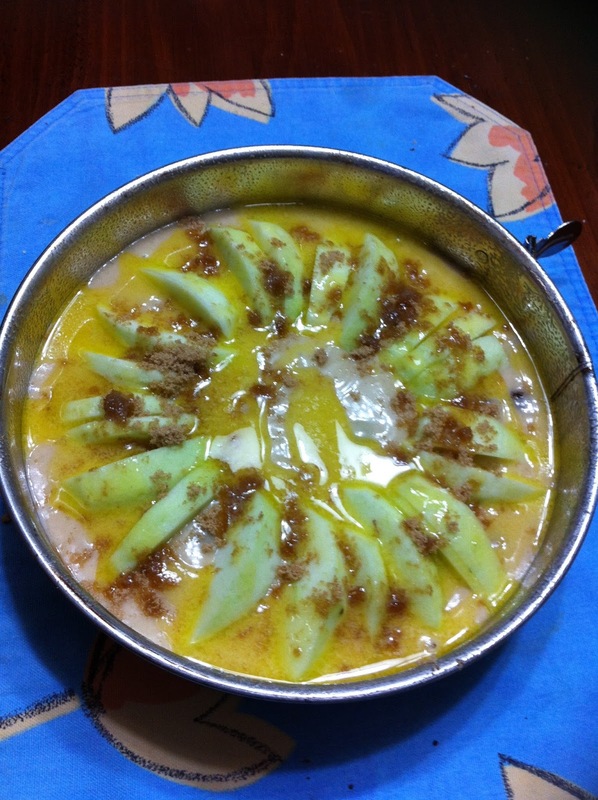 If not check out the starter recipe and pass it among your friends. Question - does inviting your friends to eat calorie laden cakes count as a blessing or is it only evil if they have publicly declared they are on a diet? 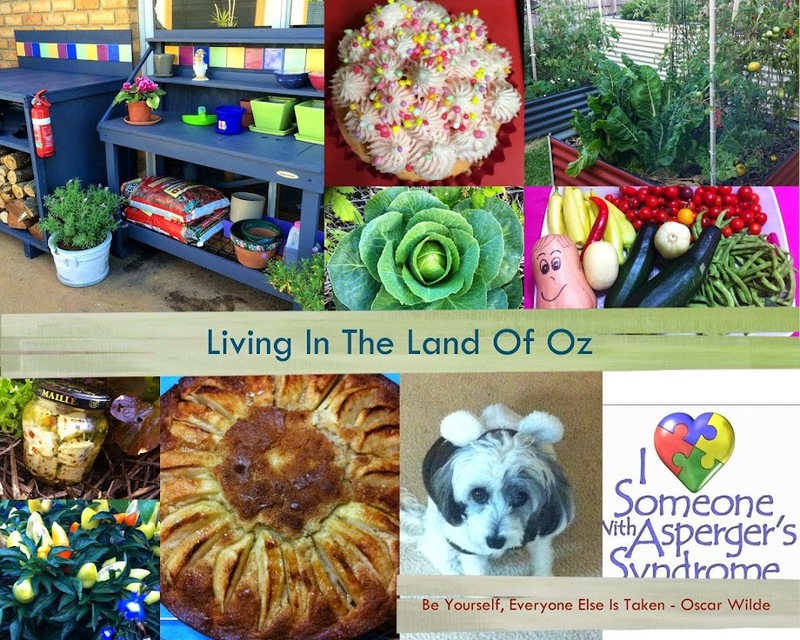 Thanks for visiting - Living In The Land Of Oz - I love connecting with readers via comments. I am not being disrespectful, honest. 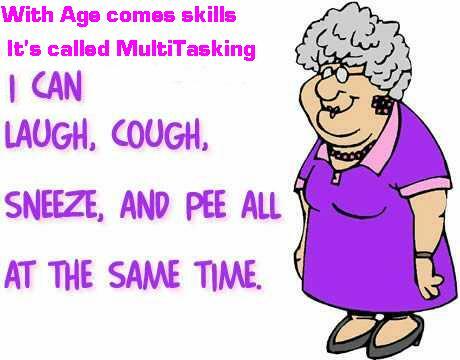 I'm claiming immunity from judgement for posting disparaging jokes about old people. What i am doing is giving one very funny 70ish friend a platform to amuse herself, me and others. Laugh Away (and please don't take offence). An elderly woman called 000 on her cell phone to report that her car had been broken into. She is hysterical as she explains her her situation to the dispatcher. "they've stolen the stereo, the steering wheel, the brake pedal and even the accelerator!" She cried. The dispatcher said "stay calm. An officer is on the way." One said:" sometimes I catch myself with a jar of mayonnaise in my hand in front of the refrigerator and can't remember whether I need to put it away or start making a sandwich." The second lady chimed in,"yes, sometimes I find myself on the landing of the stairs and can't remember whether I was on my way up or on my way down." 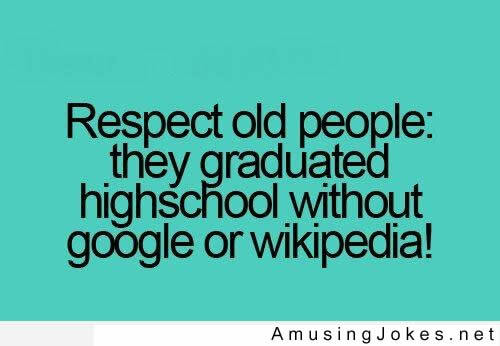 The third one responded: "Well, I'm glad I don't have that problem; knock on wood!" as she rapped her knuckles on the table. Then said:" That must be the door. I'll get it!" Read this slowly and scroll down for answer to each question. Below is a very private way to gauge how your memory compares to the last test. Some may think it is too easy but the ones with memory problems may have difficulty. Take the test presented here to determine if you're losing it or not. Answer: 'bread.' If you said 'toast' give up now and do something else..
Answer: Cows drink water. If you said 'milk,' don't attempt the next question. Your brain is over-stressed and may even overheat. Content yourself with reading more appropriate literature such as Auto World. Milford Haven in Wales .. In London , 17 people get on the bus. These are going to be very well loved chooks! Hubby and I had a great time today and we were not the only ones. 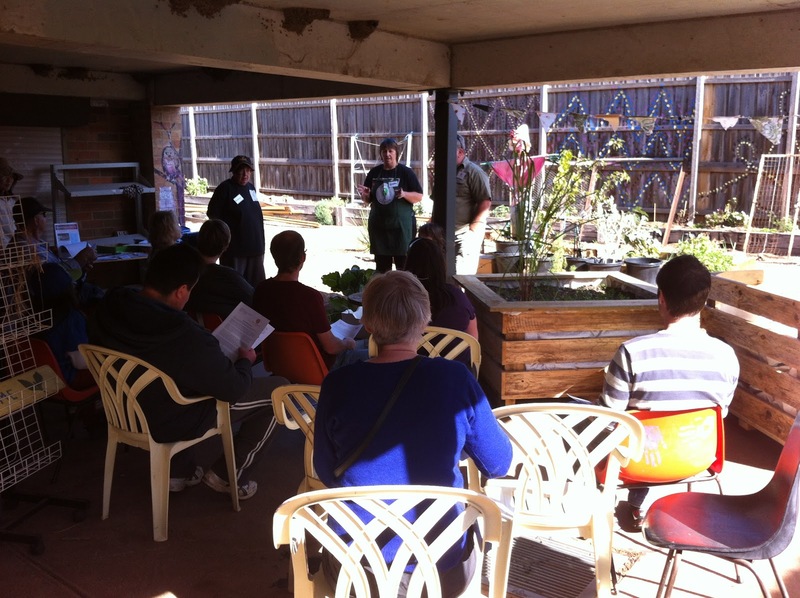 We attended another Growing Communities workshop run by Shoestring Gardening, presented by Craig from Edible Gardens and sponsored by our local council, Wyndham City Council. Attendance numbers were up and it was great to see a few newcomers which means our little community group is certainly growing. It is so pleasant to spend the day with people who are like minded, interested and interesting. No one has an agenda other than to soak up as much information as possible so that we can go back and put what we have learned into practice. The questions (many my own) come often and no one seems to mind the interruption as the answers provided are usually something that you wanted to know anyway but didn't know enough to ask. Craig certainly has been busy since last month's workshop (see here) . 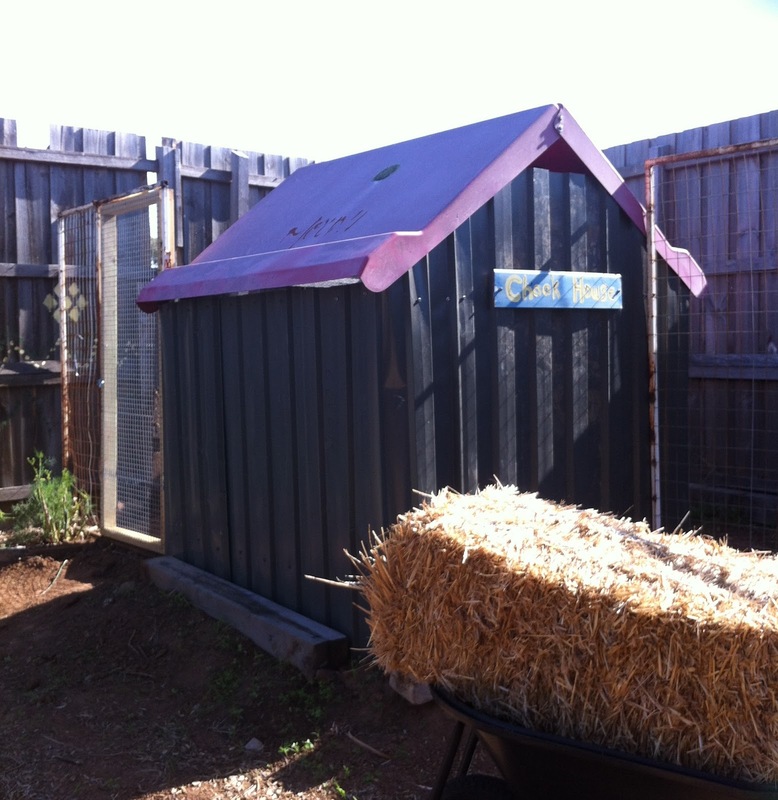 The two story cubby-house that we repurposed into the Chook House has now become a proper chicken coop with run. The wired run has been buried about 50cm to prevent dogs & foxes from digging under and backfilled with crushed rock which also acts as a deterrent. Craig made a point of telling us that it is our responsibility to keep the chickens safe and not to blame animals that are simply doing what nature intended. He told us the sad story of losing 6 of his chickens to his two Jack Russells. Lucky he was smart enough to realise that it wasn't their fault but his own. Craig recommends using a spring on the door so that it closes automatically behind you so that they cant slip in around your legs. Additional bird wire (not chicken wire) will be added to the roof and walls to make it rodent and bird proof. They go after the grain and food and can bring disease and make a mess. As always, the first step after introductions and housekeeping was to go through the by-laws about keeping chickens. It was at this point that i discovered that having to have the coop 1.5 mtrs from the fence does not include the run. The actual coop with nesting boxes & roost must be this distance. I've been struggling to fit my previous understanding of this by-law into my backyard but now it all works well and i just have to adjust the placement of the coop. The height restriction is 2m and in Wyndham we are restricted to 6 chickens, no roosters, no ducks, no turkeys etc. If you want more details on your area then talk to your local council. The list of reasons for keeping chickens is long. Their presence in a back yard creates a complete cycle that is a must for anyone interested in permaculture, self-sustainability or just wanting a few eggs that taste like real eggs. I'm serious, most people out there do not know what an egg taste like that has been raised organically on a balanced diet and fresh water. They create the most nitrogen rich manure that along with the straw from the floor of the run creates free compost for the garden. From my perspective they are a joy to watch and interact with. Its very calming to sit in the sun holding a chook and pat it. To visit the garden in the morning and evening, to call out to the girls that are clucking and scratching away. Talking to chickens probably puts you a little in the strange category but talking to your veggies is way left of centre for some (though i do that too). Chickens bring your backyard to life and give it personality. I cant wait! There is so much information available in books, and on the web regarding this subject. Those that have had their own for a long time are a great resource and you should avail yourself of this as much as possible. Do try to learn as much as you can and be prepared before getting the actual chickens. Like dogs or cats, they are living beings and should never suffer from our ignorance. They may not live as long as other domestic animals but so long as they are cared for they will continue to give back in abundance. 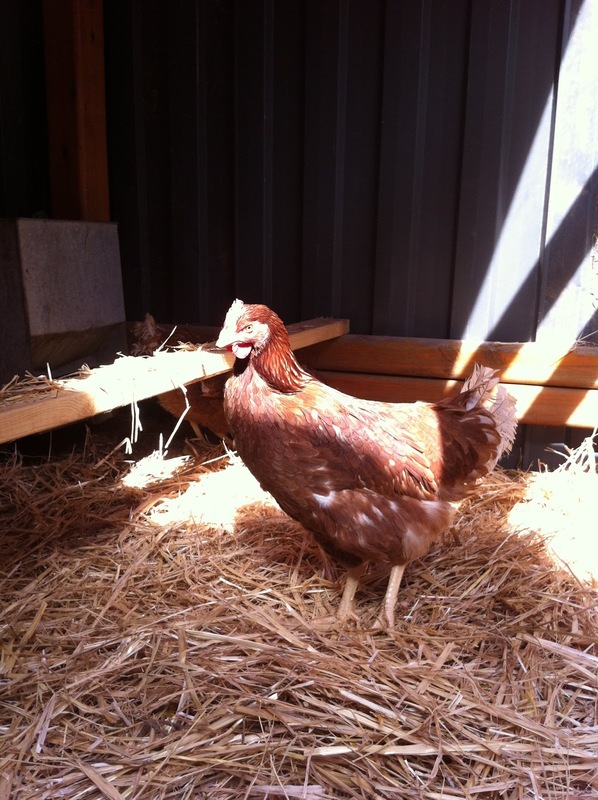 The Australian Government also have a great site (here) on keeping backyard chickens. The following information has been taken not only from today's presentation but from a fact sheet provided by Craig. Base of the Run - it's best to cover the soil with a thick layer like saw dust, mulch or straw. The chickens scratch around in it and the manure they produce breaks it down. It also stop the run becoming a mud puddle in wet weather and makes cleaning easier. Craig recommended straw as it is cheap and works well in the composter. It was the children's job today to spread the straw. ﻿﻿﻿Smell - if you are cleaning the run and coop regularly it should not smell. 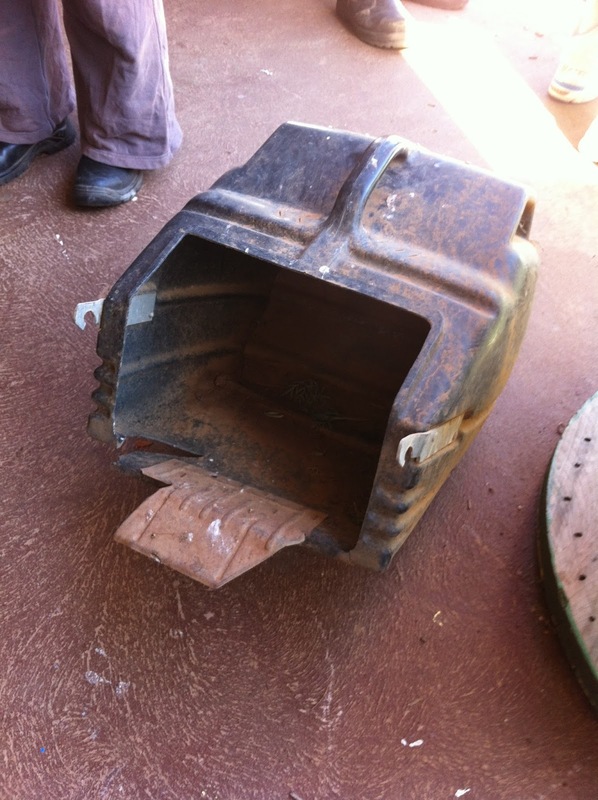 Simply remove the base material each fortnight and place in your composter. Fresh chicken manure is very strong and needs to be aged before placing in the garden. Craig recommended putting a nugget of dried chicken manure in the hole before potting new plants. When the roots reach the manure there is an explosion of growth. 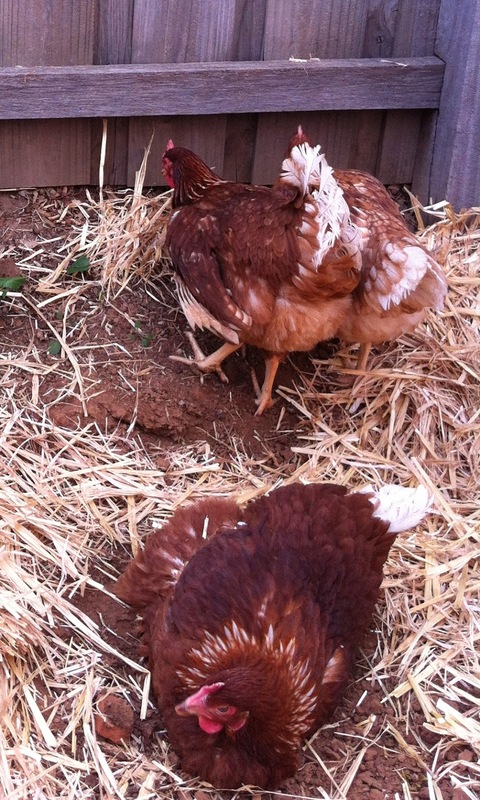 Dust Baths - Chickens like to bath themselves in dust to get rid of mites and insects. They look like old ladies fluffing up their feathers and rolling around. Its so much fun to watch. It took our chickens today about 5 minutes to scratch away the straw and start dusting themselves providing much entertainment. Remember these chickens came from cages. Nesting Boxes - Craig showed us a simple idea and that was to use old mower catchers. They are the ideal size and shape, can be lifted by the handle so no bending over to get eggs out and if you have a reluctant chook that doesn't want to give up the eggs, a slight tip is all that is needed. Chooks like privacy and darkness when laying so make sure that if you are building a nesting box that they are not in direct light in the open. Lawn Mower repair shops often have these for sale or to give away. I'm planning on having nesting boxes accessible from the outside with a lid that opens to access the eggs without going into the yard. Roosts - chickens sleep on a roost. It is usually elevated and flat so that they can rest their breast whilst sleeping. A plank or wide branch will serve this purpose. Water - chickens need fresh water daily. If you are using a waterer, use the ones that do not allow light in as this encourages algae growth. If this is the way you want to go then try galvanised or a drip waterer. In the shoestring coop we just put heavy based containers filled with fresh water that will be changed daily by those volunteering to collect eggs and care for chickens. Also check out Grandpa Feeders on the web. Food - the most important thing to remember is that what ever you give chickens ends up in the eggs that you eat. So don't give them garden leaves sprayed with chemicals (though we wouldn't be doing that anyway - now would we??). Chickens need a balanced diet of a variety of grains, kitchen scraps, shell grit, insects and bugs from the garden, protein (yes they are omnivores), and garden refuse. You can grow veggies specifically for your chooks. Like wormwood (a few branches scattered around will deter mice and fleas), silverbeat or comfrey for iron rich food source, sunflowers. Since i cant free range in my veggie garden, i hope to have two yards. One in use and the other resting and growing greens and shoots of grass ready for the chickens. This will ensure that don't miss out on a variety of foods and give them something to do, scratching around. A friend of mine yesterday showed me trays of soaked grain in a seeding tray that were allowed to shoot before being placed in the chicken yard. It was like a living piece of carpet. There are also things that you can give them to encourage good health - consider it naturopathy for chickens. Garlic boosts their immune system - sprinkle minced garlic in their feed every now and then. Comfrey is a preventive medicine for chooks - just put a little in their yard. Apple Cider Vinigar in the water helps with disease causing organisms in the gut. 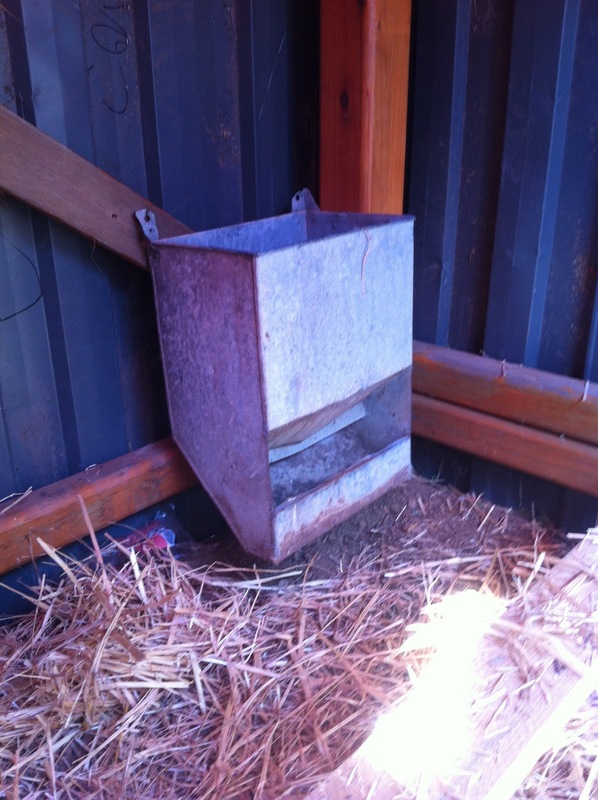 Placement of Coop and Run - chooks require shelter from draughts and cold. They get the flu and colds just like we do. You should position the coop and run so that there is a period during the day where they can bask in the sun yet seek shelter when it is too hot. Chickens also go off the lay when they are cold. 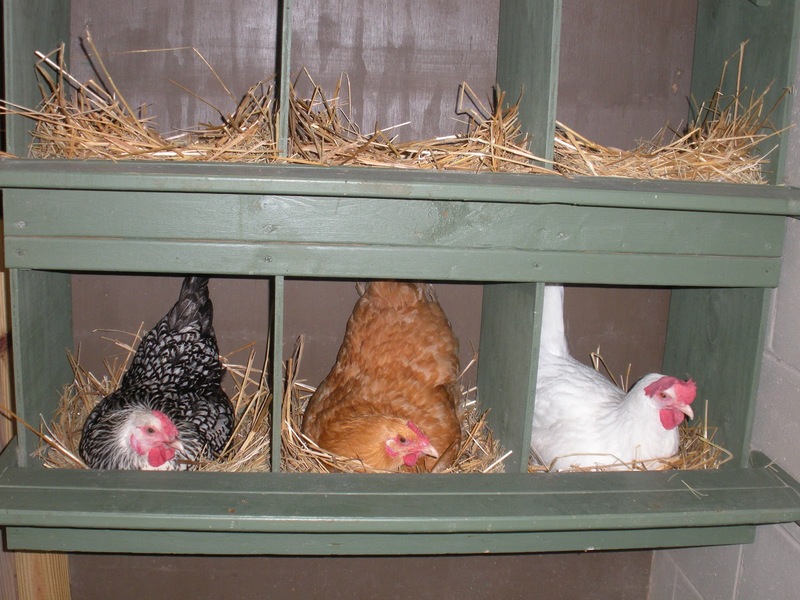 So providing them with a warm environment during winter will encourage them to lay for longer. Historically forest birds they like dappled light. If you can provide them with a similar environment then they will do well. Some people grow a tree or bush that they can shelter under in the actual yard. 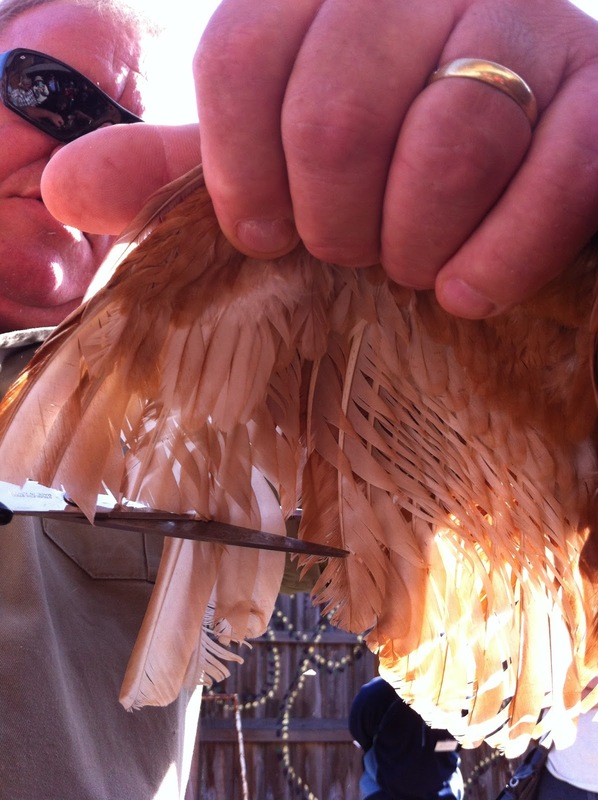 Clipping Feathers - chickens can fly, not well but enough to get over your fence. Clipping the wing on one side puts them out of balance and hinders flight. It does not hurt them anymore than clipping your nails but you should follow instructions. Craig demonstrated this and several workshoppers were easily able to do this first time. 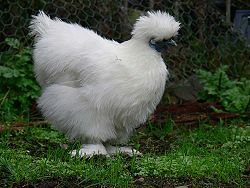 Choosing Chickens - you will need to decide why you want chickens first before deciding which breed. Do you want eggs only, meat only or eggs and meat. Do you want commercial varieties bred as living egg factories that duplicate what you can buy in supermarkets (Isa Browns) or do you want a heritage breed that offers a different egg, a different personality or just plain beautiful to look at. I guess you can tell which way I'm going. 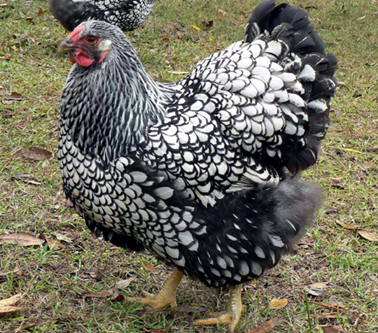 I'm planning a couple of Silver Laced Wyandottes with a couple of Silkies. When to Buy Them - as a beginner you should try to get them around 22-24 weeks when they are ready to start laying. Look for clear eyes, nice red combs and wattles, and smooth feet with no scales. Also look for a clean bum - don't we all want that? Later on you can buy them as fertilised eggs or as chicks and raise them yourself. Craig purchased the Shoestring Isa Browns from P & J Casaccio, 170-198 Bulban Rd, Werribee for $17 each. These chooks were bound for a life in a cage and so they are now going to a good home where they will be cared for and given a quality life. They are in very good health. One of the tractor chooks hiding in the coop from the others. ﻿OK, i think Ive told you everything i can remember and facts taken from the sheet that Craig provided. 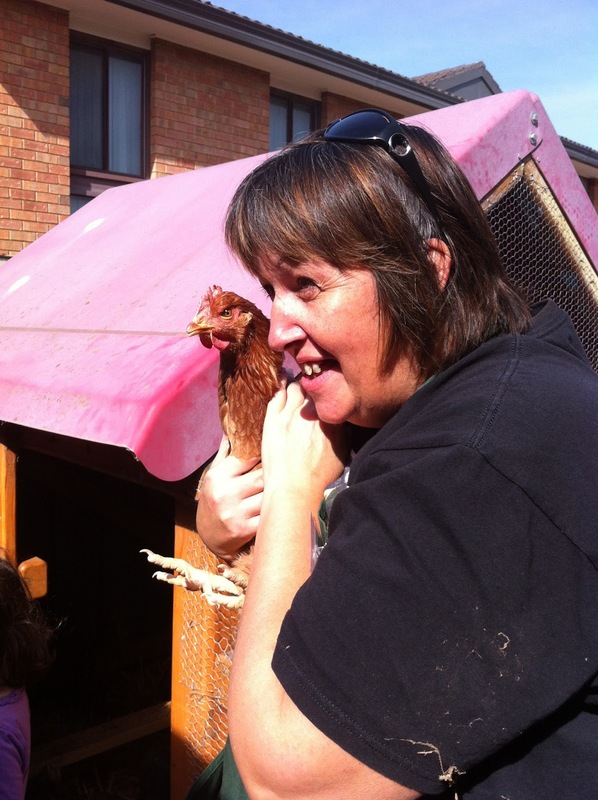 Shoestring are looking to form a group of volunteer chook keepers. 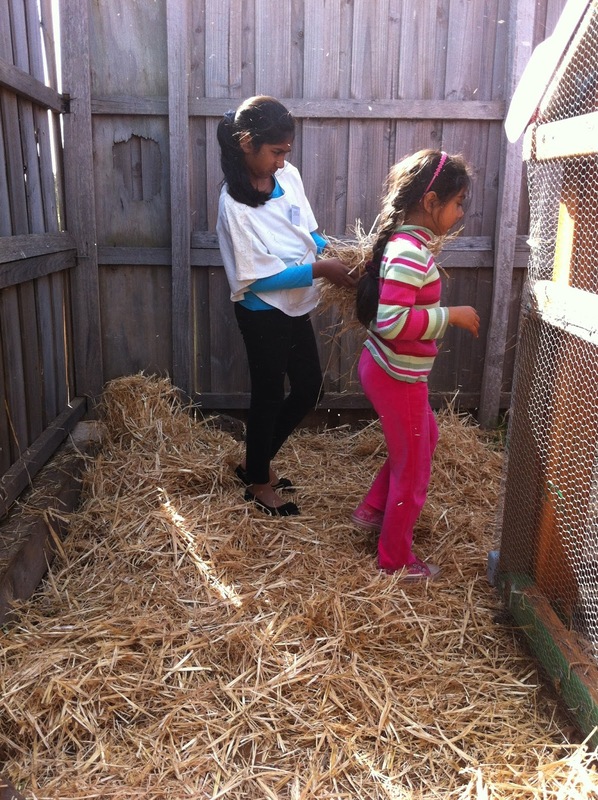 They will be rostered to provide the daily care of the chooks and in return get to keep the eggs. Please contact Shoestring if you would like to participate. 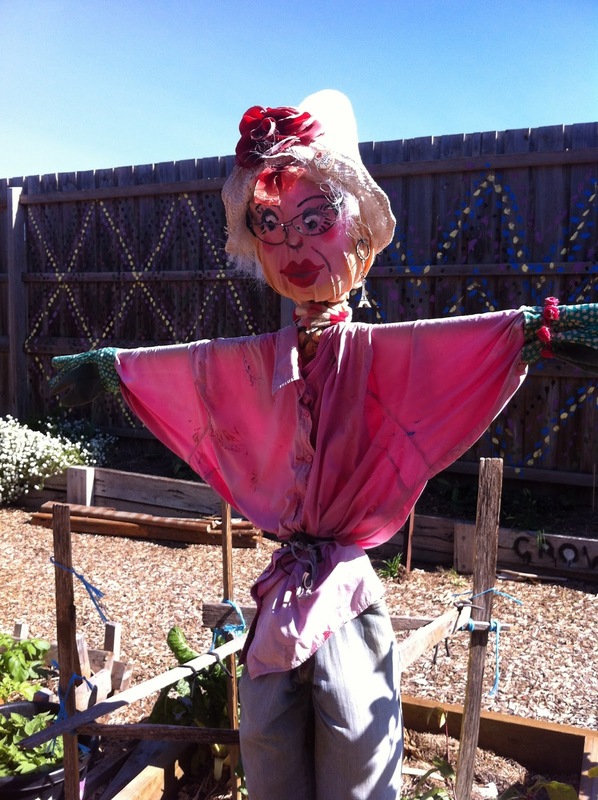 Site Supervisor - you just know that this garden is run by women. Oh, thank you Karen for the lovely lunch. The base of the lunch was good bread spread with caramelised onion and a sprinkle of feta then oven baked. It was so yummy. Huge spread of topping, cheese and fruit. We certainly don't go hungry at these workshops.